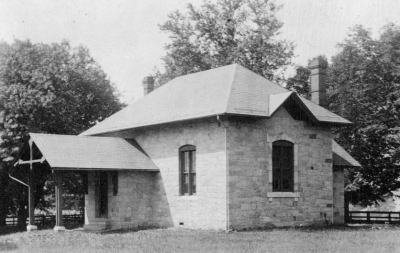 After the Great Separation, the Orthodox members built a meeting house on Old Quaker Road, as the Hicksite branch had retained the original meetinghouse. 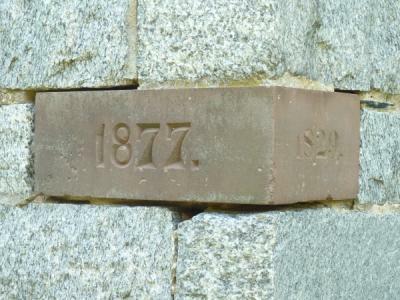 T. Chalkley Matlack visited the meetiinghouse about 1934 and stated that it bore no datestone but appeared to be quite modern, however, a visit to the same location last summer (2011) showed a datestone showing two dates, 1829 and 1877, as shown in the second photo below. 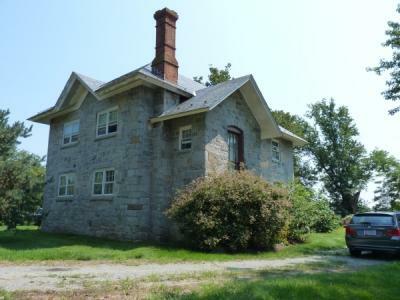 It is possible that this stone was not visible when Matlack visited, as the house has undergone quite a bit of renovaton over the years and is now a private residence, as shown in the modern photo. The 1829 date is most likely when the meeting was started by the Orthodox group and the 1877 the date of the building as it appeared in the 1930's when the back and white photo was taken. In 1955, a small number of members of Deer Creek joined with others from Nottingham and Little Britain to form a Wilburite Baltimore Yearly meeting.